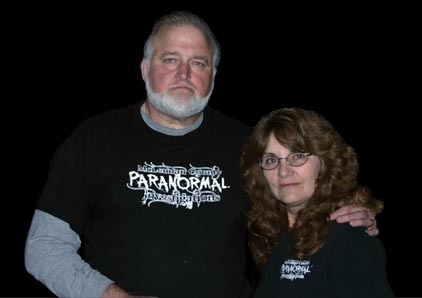 Mike & Cindy founded MCPI in 2008 to help others who have been experiencing paranormal activity. We are a diversified group of Christians dedicated to the research and documentation of paranormal activity and events. We are a small dedicated and serious group of investigators. Our individual skills that we bring complement each of us on every investigation. We do not employ the use of Ouija boards or Séances or any other unorthodox means of contacting spirits. We approach every investigation to try to offer normal explanations, if possible, to the claims of activity present. We do this through a scientific investigation using sensitive digital recorders, static, as well as hand held infra red cameras, electromagnetic field meters, non contact thermometers and other assorted equipment. We also rely on our senses of touch, feel, smell etc. Keep up the great piece of work, I read few content on this website and I believe that your blog is very interesting and has got lots of superb info. I just could not leave your site before suggesting that I extremely enjoyed the usual information an individual supply to your guests? Is gonna be back incessantly to investigate cross-check new posts. Well ever since we moved in our house in Lake Whitney Texas my daughter screams all night ” Daddy My Daddy!!!! !” and if she stays any where else she sleeps through the night just fine. I was told a little girl’s spirit/ghost is there. I am kinda scared for my daughter. Do You guys Cost or what please reply back. I, Mumtaz DMello the serving soul since last 15 years in the Spiritual Healing. i would like to share some good ORB pictures to you to be published from your end as the concrete evidence of presence of Angels and Light beings around us during the workshop. Definitely we can spread this pictures to public and spread the awareness of how one should get connected to the higher self. I got a Haunt Suggestion from MCPI, actually two of them for the Dark Haunts Haunted Site Locator. I added the Waco Civic Theater, but I can’t find a physical location for the Best Theater, is that the Farr Best Theater in Mansfield? I wanted to make sure of the location before I added it. Thanks for the suggestions and happy hunting! !